Pear sauce may be served as a stand-alone side dish. Pear sauce is a very general food element that can be presented in many different ways; it is essentially the essence of the pear fruit, combined with water or other elements. Many of the other ingredients in pear sauce will affect the texture of the dish. Some other ingredients may be included to affect the taste. One of the major uses of pear sauce is as a stand-alone side dish, similar to the more popular and familiar apple sauce that is commonly sold in some parts of the world. In these presentations, pear sauce is usually just mixed with water and a few other common ingredients. Lemon juice is often added to achieve the appropriate acidity. Sugar and cinnamon are other frequent inclusions for this dish as well. These simple versions of pear sauce can take up to three hours to prepare. The mix must be simmered for one or two hours. Some cooks also can this food using sterilized jars and pressurization to give it extended shelf life. In addition to common pear sauce, specific other sauces made with pears can be added to hot dishes as a complementary element of an entrée. For example, a chicken with pear sauce dish could consist of hot chicken pieces, hot pasta, and a hot sauce that includes pears as the main element. Here, the unique tangy flavor of the pear fruit will bring a particular final presentation to the overall dish. For some of these hot pear sauces used in complex dishes, additional ingredients may be added. While some cooks, again, use water to create the sauce texture, others may mix the pear fruit in with chicken stock or other flavored liquids. In some cases, cornstarch or other similar ingredients provide a texture that will stand up better, with a lower viscosity than a pear sauce that is made with water. Other flavor elements may also be added to hot pear sauces. Some recipes feature rich meats like bacon, creating a unique blend of sweet and savory tastes. In other cases, cooks might use garlic or other strong herbs and spices, although lemon is a more common addition than garlic, which could overpower the fruit sauce if used improperly. Some modern cooks, including those with popular cooking shows, like to experiment with the pear's flavor to create new pear sauces that will make their mark on the general culinary world. What Is a Poached Pear? 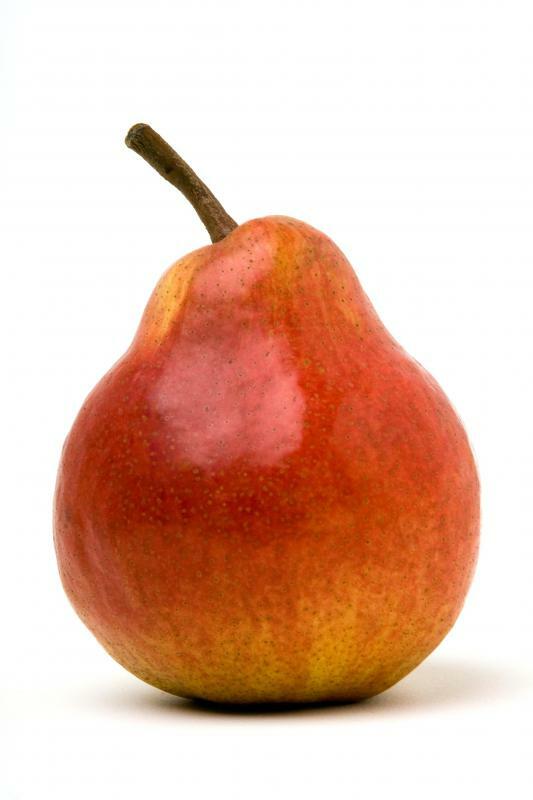 What are Some Foods I can Make with Pears?